People often assume that a curated, polished version of the self will generate the most favorable responses—that by smoothing rough edges and presenting one’s best side, others will like and want to interact with them more. But this assumption is not always correct. 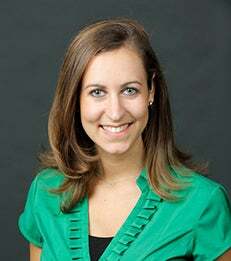 While most social media and online dating site users post posed photos of themselves to connect with new friends and dates, new joint research from NYU Stern Professor Alixandra Barasch finds that candid photos elicit more favorable responses in the context of friendship and dating because they seem more genuine. The paper, co-authored by Professor Barasch and Jonah Berger at the University of Pennsylvania’s Wharton School of Business, is titled “A Candid Advantage? The Social Benefits of Candid Photos,” and was recently published in Social Psychological & Personality Science. others will like and want to interact with them more. But this assumption is not always correct,” the authors write. The researchers did note, however, that the specific context a photo is used should factor into choosing a candid or posed shot. For instance, additional data collected showed that people are more interested in hiring someone who used a posed rather than candid photo on LinkedIn. To speak with Professor Barasch, please contact her directly at abarasch@stern.nyu.edu or 212-998-0511; or contact Carolyn Ritter at 212-998-0624 or critter@stern.nyu.edu or Kimberly Couzens at 212-998-0923 or kcouzens@stern.nyu.edu in NYU Stern’s Office of Public Affairs.